Worm gears from Atlanta are high quality norm gears build in Germany. 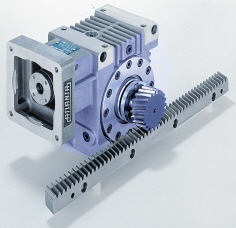 With less than 1 arcminutes Atlanta’s worm gears are idea for positioning applications. 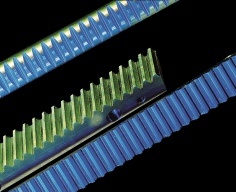 High build quality of the gears results high degree of efficiency, low working temperatures and longer life. Flange can be chosen according to motor size. Gearbox motor connection is done only by coupler. Atlanta build straight and helical toothed racks. There are 4 types of racks according to material and treatment. Sizes are module 1-12 for the “soft” and 2-8 for the harder. Maximum length is 2m per rack. For all modules Atlanta offers pinions and pinion shafts in various tooth numbers.